Canada Life Assurance Company is a Toronto-based life insurance and annuity provider primarily servicing its country of origin. However, it has international operations in the United States, the UK, the Isle of Man, Germany, and Ireland. Internationally and in Canada, the company provides life insurance, annuities, other investment vehicles, and insurance policies for a long-term disability and critical illness. In the United States, the do not provide the disability and critical illness products. Enter your zip code below to see health insurance rates from some of America’s top providers. As a health insurance provider, Canada life Assurance Company is an interesting creature. In Canada, Germany, the UK, and Ireland, health care is provided through a single-payer system funded and administered by the government. It was not until recently that most of these countries allowed private insurance or even privately acquired care. However, the weakness of socialized medicine, and its resulting rationing of health care, has forced these countries to open the door to private insurance. The government-run healthcare is still the norm for routine treatments in these countries, but individuals can purchase private insurance for long-term disability and critical illnesses. In Canada, for example, the federal government has come to realize that serious, long-term conditions cannot be handled under the current single-payer system. While it is still technically illegal to provide private care in Canada, the government turns a blind eye because it has no other means of providing such care. That is why companies like Canada Life Assurance Company are now flourishing that country. In 2009, Canada Life United States was merged with Great-West Life & Annuity Insurance Company. Since the merger, all insurance products available in the United States have been offered and administered by Great-West. Great-West partners with a network of independent agencies scattered all across the country. Unfortunately, the Canada Life United States website does not provide any information about how to find those agents. You might be able to get that information by calling the U.S. office directly. Another option is to ask your financial advisor specifically whose products and services he represents. If you are interested in Canada Life policies, and your financial advisor does not represent them, you can always contact the corporate office and ask for information about a local agency that does. Since Canada Life Assurance is such a large international entity, it seems reasonable that you ought to be able to find a local agency close to where you are. For Canadian and international customers who utilize Canada Life’s two health insurance products, how claims are filed will depend strictly on the regulations in those countries. In Canada, this type of insurance generally works under the third-party billing system. Under this system, consumers make their own arrangements for specialized care, pay for that care upfront, and then file a claim with their insurance company for reimbursement. However, that is not the only option. Canadian consumers are increasingly given the option of using a healthcare services broker. These brokers lineup medical care through the private sector on behalf of their clients. Often times, these brokers will also facilitate the financial transaction between provider and insurance company. Using a broker costs a little bit more money, but it is becoming increasingly more popular because it eases the burden on the patient. The model has proven so successful that Canadian brokers can now secure nearly 80% of all their medical services in their own country, whereas just a few years ago they were sending a majority of their clients south of the border. 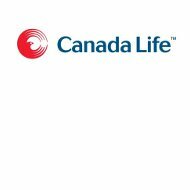 Canada Life Assurance currently receives financial strength ratings from five of the most well known agencies: A.M. Best, Fitch, DBRS Ltd., Moody’s, and the Standard & Poor’s. They receive strong ratings all across the board for both current financial stability and long-term outlook. The company is on firm financial footing with more than enough capacity to pay current claims and debt obligations, and meet those anticipated for the future. Financial records from last year revealed some impressive numbers about Canada Life Assurance. The company reported some $4.19 billion in total assets and a net policy surplus of nearly $217 million. The report makes no mention of current working capital. For competitive health insurance rates in your state, simply enter your zip code in the box provided below.